The number of people who voted early this year more than doubled from 2014, according to figures released Saturday by the Hidalgo County Elections Department, despite trailing that of the state’s other large counties. Nearly a third of all registered voters in the county cast a ballot during the two-week early voting period from Oct. 22 to Nov. 2, with 114,560 of the county’s 362,815 registered voters having voted either in person or by mail. Four years ago, only 56,652 people voted early, according to the elections department. The most popular days of early voting this year were the first and last day, with a quarter of all voters who cast a ballot in person doing so on those two days. 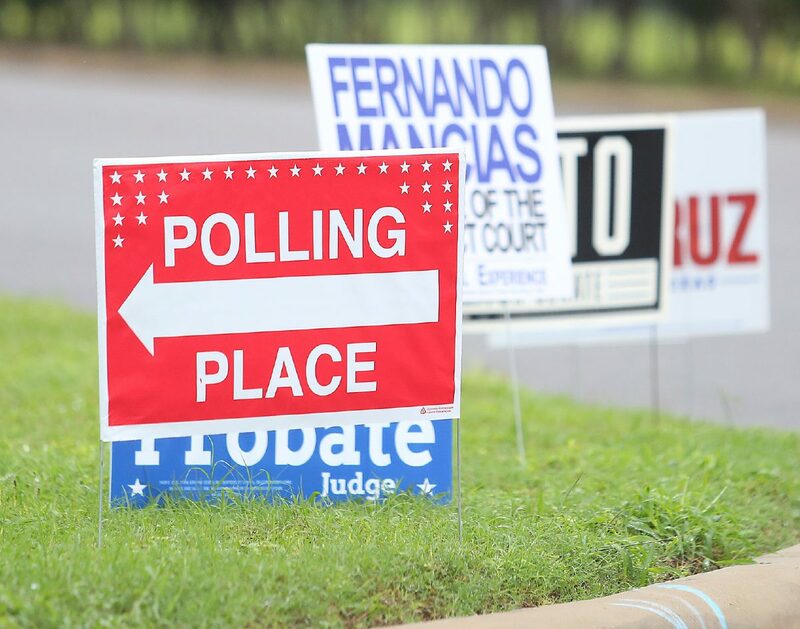 Of the county’s 34 polling locations, the Elections Annex Building in Edinburg and Lark Community Center in McAllen were the most popular, with approximately 21 percent of voters casting a ballot at either spot over the past two weeks. Despite the increased participation from 2014, this year’s midterm early voting numbers still lag behind those of the 2016 presidential election, when 137,720 people voted early, about 23,000 more than this year. Nationally, voter turnout is higher in presidential elections than in midterm elections. Yet 13 percent more Hidalgo County residents voted during this year’s early voting than during the 2012 presidential election. This trend mirrors that of the state’s 30 counties where 78 percent of registered voters live, according to data analysis by The Texas Tribune. This year, 39.9 percent of all registered voters in these counties voted early, compared to 39.2 percent during 2012, The Texas Tribune found. Hidalgo County’s early voting turnout level, despite the increase from 2012 and 2014, is still low compared to other parts of the state. In comparison, Houston’s Harris County, San Antonio’s Bexar County, Dallas County, and Austin’s Travis County and had turnouts of 36.59, 37.71, 39.66 and 47.43 percent, respectively. For those who did not cast a ballot during early voting, Election Day is Tuesday, Nov. 6. The county’s 74 polling locations will be open from 7 a.m. to 7 p.m., and registered voters can vote at any location. For more information, visit: https://www.hidalgocounty.us/105/Elections-Department.